Because Lisa Daltirus is indisposed, the role of Bess will be sung at tonight's performance of Porgy and Bess by soprano Donita Volkwijn. Donita Volkwijn first performed Bess with Tulsa Opera, and has played the role in a touring production in several major European cities. She has sung Micaela in Carmen for Hawaii Opera Theater, Syracuse Opera, and Tulsa Opera, where she also also performed both Mimì and Musetta in La bohème. 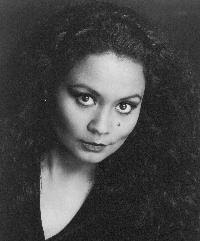 Ms. Volkwijn has also sung Anna in Puccini's infrequently performed Le villi. Last season, she competed in the Mezzo Competition where she was selected to sing the part of the Condemned Female in David Alagna's Le dernier jour d'un condamne, which was performed in Debrecen and Szeged, Hungary. Previous west coast credits for Ms. Volkwijn include Susanna in Le nozze di Figaro with the Bellingham Music Festival, Sister Rose in Dead Man Walking with Opera Pacific, and a number of credits with San Francisco Opera, where she was an Adler Fellow in 1999 and 2000. As a finalist in the 2005, 2001 and 2000 MacAllister Awards Competition, Ms. Volkwijn received the Glynn Ross Award. A native of Cape Town, South Africa, Donita Volkwijn earned her Bachelor of Music degree in vocal performance from Oberlin College-Conservatory and her Master of Music degree from the Cleveland Institute of Music. In 1999 she made her European debut in Amsterdam with concert performances at the International Opera Center of the Netherlands. Donita did a great job last night; MANY thanks!!!! Also to Speight for finding her!! !